One of the fiercest chills I got while listening to music last year came on a Sunday morning in Chicago. I’d just seen the immediate aftermath of a horrific accident the night before and had a lot on my mind. Day 3 of Pitchfork was just kicking off, with a scarcity of people combing the grounds after gates and before the first bands kicked off. Feeling uneasy heading into the day’s festivities, my mood was soon assuaged by the kindness extended by friends (there have been few things over the past few year that have felt as reassuring as the hug Meredith Graves greeted me with at the start of that day). One of those friends, the absurdly talented Sasha Geffen, joined me in taking in the day’s first set: Mutual Benefit. Something about the emotional turmoil brought about by the previous night, the perfect weather, the comfort of having friends joining an experience, and the surprisingly open park fields managed to culminate in a perfect storm of cognitive dissonance; I was a blank slate in a gentle breeze. Then Mutual Benefit started playing and everything faded almost instantaneously. Gentle tones, a hushed reverie, and an underlying sense of personal triumph and genuine feeling cut across Union Park with a transcendental force. Jordan Lee’s kept his musical project fairly quiet in the time following that tour but recently unveiled the gorgeous “Not For Nothing” and all of those memories came back in an instant. Before further addressing that particular song, though, it’s worth taking one last aside to catch up on some of the strongest tracks to have emerged in the past week and a half. For the sake of linear functionality, they’ll just be listed in order with no descriptors (though they should really all be given a considerable amount of attention): Farao’s “Hunter“, Black Baron’s “Watch Me Sleep“, Envy’s “Blue Moonlight“, Bishop Nehru’s “Bishy In Japan 16 (Knowing Nothing)“, Abram Shook’s “Perfect“, John Vanderslice’s Songs: Ohia cover “Long Dark Blues“, Table Scraps’ “Bad Feeling“, Native Eloquence’s “Doldrum“, and Ancient Ocean’s “Beargrass Creek“. Now, with everything brought up to this week and that necessary tangent out of the way, let’s move back to the track contained in the headline. 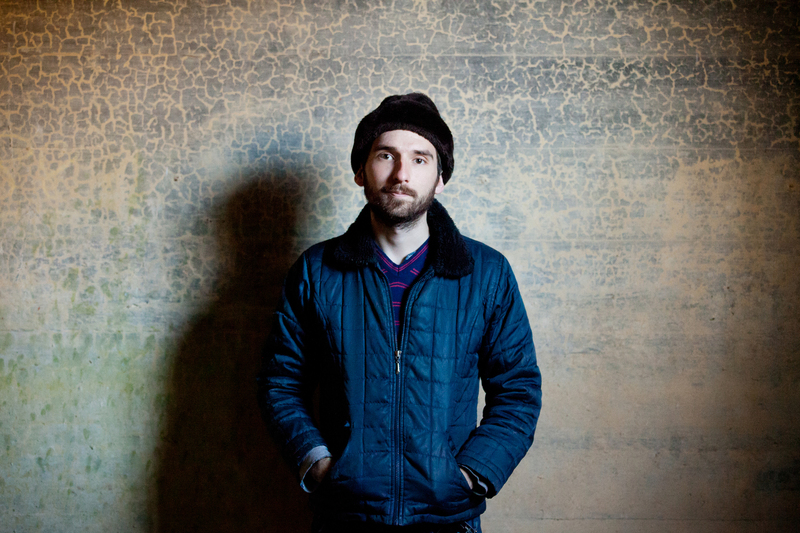 “Not For Nothing”, the latest masterpiece from Mutual Benefit, isn’t just a reaffirmation of Lee’s enviable songwriting gifts, it’s a warm, welcoming song that’s arriving at the exact right time. For whatever reason, sincerity has become something that’s more derided than celebrated in the gradual come-down that’s happened in the post-Funeral landscape. Whether that’s because it was reduced to a cheap imitation in a lazy cash-grab effort by so many acts in an effort of miserably failed appropriation or because the world’s just been forced into a time where being cyclical, jaded, detached, and increasingly apathetic has made more sense, it’s tough to tell- but sincerity, when it’s done honestly, has the capacity to move more effectively than just about anything else. Lee brings that sincerity, and- just as importantly- empathy, to vivid life when he’s at his very best. And “Not For Nothing” just may be his very best. Strings swell, drums shuffle, and a beautiful atmosphere descends into the song from the outset, letting Lee’s deceptively impressive vocals and extraordinary lyrical ability drive everything home. As “Not For Nothing” calmly washes over its listeners, it becomes transportive: this is a song with the uncanny ability to elicit memories and nostalgia through dulcet tones and genuine feeling. By the time it winds down, the only appropriate course of action seems to be going back and hitting play, just one more time. We only get songs like this every so often. Make sure this one isn’t forgotten. Stream “Not For Nothing” below and watch the Weathervane session that features the song here.